Out on the open road, anything can happen. Although we all hope for the perfect trip, free from any problems, it is often safer to be realistic and recognize that sometimes issues do arise, and sometimes they are out of our control. Theft, vandalism, an automobile accident, fire or flooding — the list goes on. When disaster strikes, it’s best to be prepared. The best way to do this is by purchasing RV insurance for your camper or motorhome. RV insurance is much like any other kind of vehicle insurance. Like other vehicle insurance, it is broken into four basic categories: liability, uninsured/underinsured, collision, & comprehensive. Below, we will briefly define and explain each type of coverage so you can understand what they mean and what they will do for you. Liability coverage: Liability coverage protects you from the legal consequences of any harm caused to other people during an accident and is required by law for motor vehicles in most states. Uninsured/Underinsured coverage: This insurance covers you and your passengers when someone without insurance, or without enough insurance to cover your claims, hits your vehicle. Collision coverage: Collision coverage pays for damage to your vehicle when you hit another vehicle or non-living object (like a wall or a street lamp), regardless of fault. Comprehensive coverage: This coverage pays for damage to your vehicle that is not covered by collision coverage, including hitting an animal, fire, theft, and vandalism. How Is RV Insurance Difference From Other Automobile Insurance? Though similar to other vehicle insurances, RV insurance is different on several points. This is because you aren’t only driving your RV, you are also living in it and camping in it. While most auto insurances will insure your RV, gaps in your coverage can occur if you attempt to use the same coverage you have on your car. This is particularly true if you are a full-time RVer. Here are a few points in which RV insurance is unique. It is required by law in most states that you at least purchase liability coverage for your motorhome. Some states require more, so make sure you know the law where you live. Below is a list of coverage that is generally included in a standard motorhome insurance package. Liability coverage: As discussed above, liability coverage protects you from the legal consequences of harming another person or their property during an accident. Since motorhomes are driven like a car, liability coverage will apply. Uninsured/Underinsured motorist coverage: Again, this protects you if an accident occurs with someone who isn’t insured, or whose insurance can’t cover all of your damages. Comprehensive and collision: Comprehensive and collision coverage are both fairly standard for motorhomes. They aren’t required by law but they are good to have, especially if you have a newer motorhome that you want to make sure is protected. Personal injury protection: Personal injury protection, or PIP, is required by some states. What it covers varies, but generally, PIP pays for injuries to yourself and your passengers, as well as to you as a passenger in someone else’s car, regardless of fault. It also may pay for funeral costs, rehabilitation costs, and loss of income due to injury. According to an article by The Balance, the largest difference between types of RV insurance is the differences between insuring a motorhome and a camper. Since campers are towed and not driven, insurance is optional by law. Optional or not, it is still a great thing to have, though what you get differs slightly from the insurance you will need for a motorhome. Comprehensive and Collision: Standard camper coverage is generally just comprehensive and collision coverage since your camper itself isn’t actually being driven. Other coverage, such as liability and uninsured/underinsured motorist, will be needed for the car that is pulling your camper, but not for the camper itself. Specialized coverage: There are add-ons that you can get for campers. The add-ons that will be most useful if you are RVing in a camper are things that will protect your belongings, as well as things like full-timer or campsite-liability coverage. There are a lot of different, specialized insurance packages that you can buy. These are useful for some RVers, but may not be worth the money for you. You will need to take a look at your own personal situation to decide if the basics are enough for you, or if you think these add-ons are worth adding to your budget. Here are some specialized options that are frequently offered by insurance companies. Some of these may be offered under another name, or not at all, depending on the company you choose. If you are going to be living in your RV full-time, purchasing full-timer insurance is a really good idea. This insurance essentially functions as a homeowner’s policy would in regard to your personal liability towards others who get injured during an accident or in the campsite where your RV is parked. It replaces liability coverage and is required by some insurance companies if you are planning on making your RV your permanent residence. Many companies also offer full-timer packages that include other coverage options — like personal liability coverage and loss assessment — that can make your RV insurance even more like traditional homeowner’s insurance. This insurance is similar to full-timer coverage but is intended for the RVer who will only be using their RV occasionally, not as a permanent residence. It is useful if you are concerned about your liability if someone gets hurt in or near your RV while you are parked. This policy can also be called vacation liability. Personal effects coverage is another optional add-on that is great for full-timers, or if you are RVing with a lot of valuable property. This coverage protects your possessions inside your RV and will pay if something is stolen or destroyed. Adding disappearing deductibles to your insurance plan can save you money in the long run if you don’t anticipate needing to make a claim. For every year that you don’t make a claim, your deductible is decreased by 25%. After four years, your deductible will be zero and remain this way until you have a claim. Sometimes this option is included in your plan, and sometimes you will have to pay an additional premium. Many insurance companies offer emergency roadside assistance for an additional premium. This generally includes towing and repair for things like flat tires, mechanical failure, lost or stolen keys, or a dead battery. There are other companies that offer these services, so make sure you are ready to compare prices and benefits before adding this to your insurance plan. In some states, medical payment coverage is optional, and in others, it is required, so make sure you know the law. This coverage pays for the medical expenses of you and your passengers due to an accident, regardless of fault. If your health insurance has a high deductible, this may be a great supplement for you. Mexico coverage is only useful if you are planning on traveling in Mexico, but if you are, it is a necessity because your insurance plan will be useless in Mexico without it. 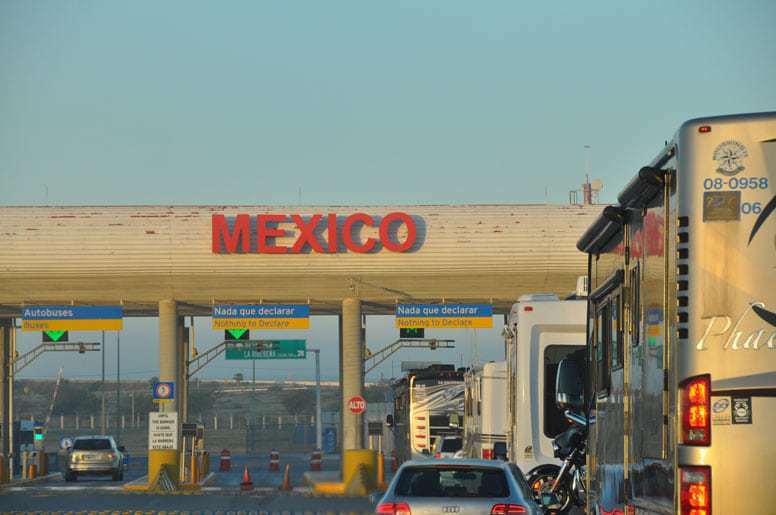 All Mexico coverage does is extend the coverage area of your plan to Mexico. Some insurance companies include this in their plans and others will ask for an extra premium. Regardless, make sure you have this if you are planning a vacation across the border. This option will pay for part of the charge you will incur if the Fire Department has to make a visit to save your RV from a fire. Some companies include it with comprehensive and collision coverage, while others will require you pay extra. If you have to pay extra to add it to your plan, this one is a matter of weighing your risk against the costs of the coverage. If you like being extra protected, this may be a great choice for you. Otherwise, you may want to sit it out on this coverage option. Loan payoff coverage, also called Gap coverage, is a great option if you are still paying off the loan on your RV. Gap coverage will pay off your loan if your RV is totaled, thus saving you from having to continue making payments on a vehicle you no longer own. The type of coverage you should get depends largely on several factors. What are the laws in the state you live in? These things will need to be considered before you can decide what insurance is best for you. Obviously, there are some things that you will need to purchase for your RV, depending on what state you live in. Make sure you research the insurance laws for your state. If in doubt, your insurance company should be able to tell you what you need to be covered from a legal standpoint. As a general rule, most states require liability coverage, and some require more. If you are towing a camper rather than driving a motorhome, you can get away with buying less insurance — though if your camper is particularly valuable, you may not want to. As we discussed above, where you are traveling matters. If you are going to be in Mexico, for example, purchasing Mexico coverage is a must. If you will be traveling in Mexico a lot, it may be worth choosing an insurance company that includes this coverage as part of your standard package. It makes a lot of sense to pay for extras to protect a brand new RV with all the bells and whistles. If you bought used or didn’t spend a lot on your RV, it may make more sense to skip on the extra insurance and just buy a new RV if something happens. You don’t want to be paying more for insurance than your RV is actually worth. Gap insurance is a great option if you still owe on a loan for your RV. 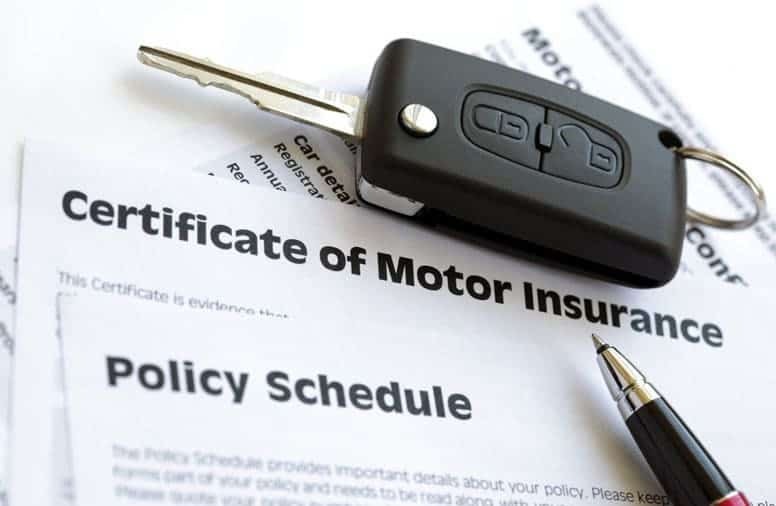 Also, take into account that there are some coverage options that will be required by your insurance agency if you are still making loan payments on your vehicle. As with most things, the type of insurance you get for your RV comes down to personal circumstance. Make sure you consider all of the factors before walking through the doors of your chosen insurance company. By taking into account the worth of your vehicle, where you will be traveling, the laws in your state, your budget, and your own desire for peace of mind, you should be able to pick the perfect policy for you. Do the research and know your options. Your pocketbook — and your sanity — will thank you.